Detailed digital maps with Socio Geodemographic data by Country, Region, Block Level, Major Cities and Populated Areas! Just as the Phoenicians used maps for conquering and managing territories 3,000 years ago, you can also take advantage of these strategic tools with modern mapping technologies and updated information from Geobis International. The all new 2015 vintage version of digital maps and geo demographics includes Postal Codes (Zip Codes), Political Division, Highways, Streets, Points of Interest POIs, Population, Purchasing Power, Socio Economic Strata (SES) and many other layers. 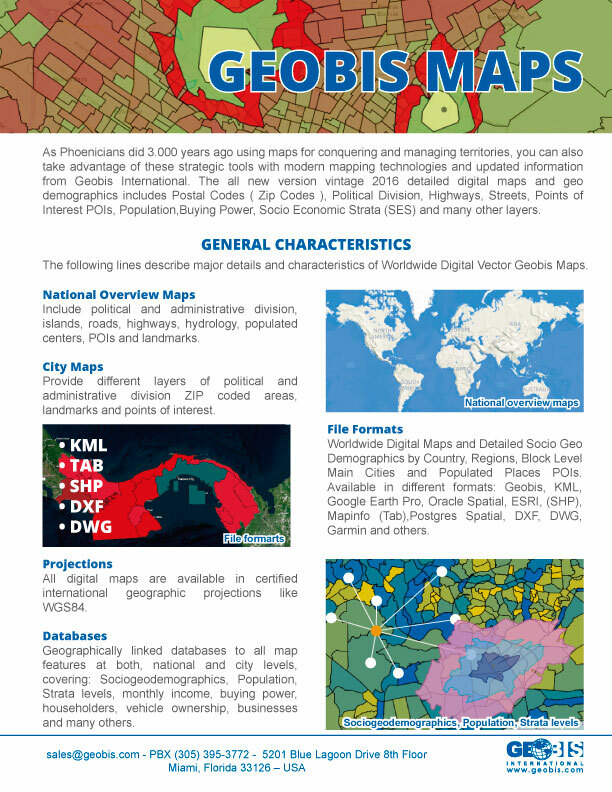 Details, types and characteristics of Geobis Worldwide Digital Vector Maps. Find here the Geobis Worldwide Digital Maps detailed list in alphabetic order. Consult Digital Maps that includes political and administrative divisions, islands, roads, highways, hydrology, populated centers, POIs and landmarks. Provides different layers of political and administrative divisions, ZIP coded areas, landmarks and points of interest. 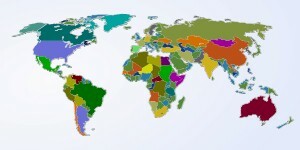 Worldwide Digital Maps and Detailed Socio Geo Demographics by Country, Region, Block Level, Major Cities Populated Areas and Points of Interest. Available in different formats: Geobis, KML, Google Earth Pro, Oracle Spatial, ESRI, (SHP), Mapinfo (.Tab), Postgres Spatial, DXF, DWG, Garmin and many others. All the maps in digital formats are available in certified international geographic projections similar to WGS84. 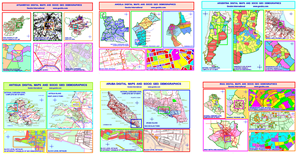 Country Maps, City Maps, Administrative Maps, POI Maps, Customer Maps, Business Maps, Purchasing Power Maps, Socio Economic Maps, Geo Demographic Maps, Strata Maps, Routing Maps, Land Use Maps, 3D Maps and Customized Maps. A complete list of maps per city/country is available, each map includes detailed population estatistics between other demographic data. Please call us for more detailed information. Geobis has primary 3D topography databases for all of the countries in the Americas and the Caribbean. In many cases, we have highly detailed information that permits us to deliver information for DEM models, 3D info and native layers of level curves for different types of industry and applications in record time. Databases geographically linked to all map features at both, national and city levels, covering: Sociogeodemographics, Population, Strata levels, monthly income, Purchasing power, householders, vehicle ownership, businesses and many others. Adds useful information and Latitude & Longitude coordinates to the addresses connected to the GeDots Cloud. GeDots web services can be requested from different environments such as Web Enabled Platforms, Intranets, PCs, Tablets and Smartphones. Routing features are available for most major cities around the world. General routing variables are: directions, media speed and street type. See some samples of the different maps available in digital formats. Lean about how to work with Geobis Maps and the different solutions available for doing the work in different industries.